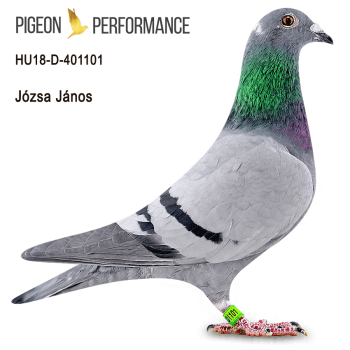 Józsa János has won the title of national and team championship several times, both short and medium term, with both young and old pigeons. With countless placements, Champion pigeons, multiple performances at the Olympics, and three Master Fancier titles, he is remarkable for his results in pigeon racing. His name is well known and recognized in the circles of Hungarian fanciers. His father Olympic participant (Nitra) National Champion 2. Prima Vera, one of Eijerkamp's most successful hen, is on line.